The recently celebrated discovery of the Higgs boson has captivated the public's imagination with the promise that it can explain the origins of everything in the universe. It's no wonder that the media refers to it grandly as the "God particle." Yet behind closed doors, physicists are admitting that there is much more to this story, and even years of gunning the Large Hadron Collider and herculean number crunching may still not lead to a deep understanding of the laws of nature. 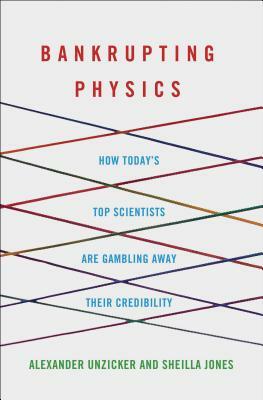 In this fascinating and eye-opening account, theoretical physicist Alexander Unzicker and science writer Sheilla Jones offer a polemic. They question whether the large-scale, multinational enterprises actually lead us to the promised land of understanding the universe. The two scientists take us on a tour of contemporary physics and show how a series of highly publicized theories met a dead end. Unzicker and Jones systematically unpack the recent hot theories such as "parallel universes," "string theory," and "inflationary cosmology," and provide an accessible explanation of each. They argue that physics has abandoned its evidence-based roots and shifted to untestable mathematical theories, and they issue a clarion call for the science to return to its experimental foundation. Alexander Unzicker is a German theoretical physicist and neuroscientist. Sheilla Jones is the author of The Quantum Ten and an award-winning Canadian journalist and a science contributor to CBC. She reviews science books for The Globe and Mail and the Literary Review of Canada.